Warning – The Keepers: Lost Progeny contains some graphic content and is intended for mature audiences. 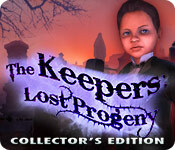 The Keepers: Lost Progeny Collector's Edition is rated 4.3 out of 5 by 147. Rated 5 out of 5 by smoovasbutter from Excellent The graphics and music are terrific. This page comes with a warning for graphic images but its really quite tame. There is a nice period gothic feel. 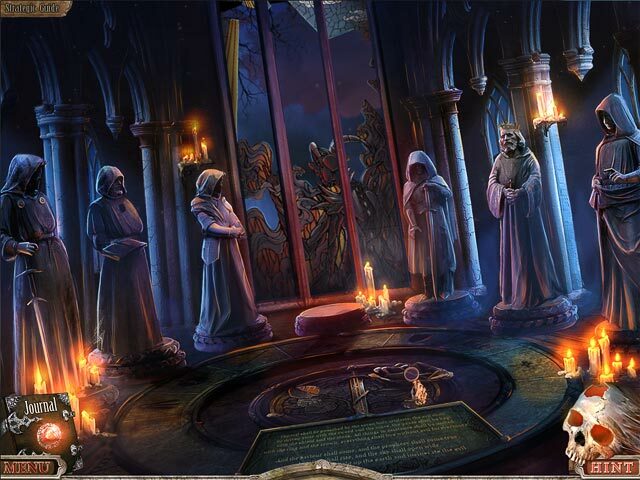 The story combines several horror themed cliches quite nicely, a demon possessing a child, the main character finding out about his past, a small town with a dark secret, a secret order tasked with fighting evil.... 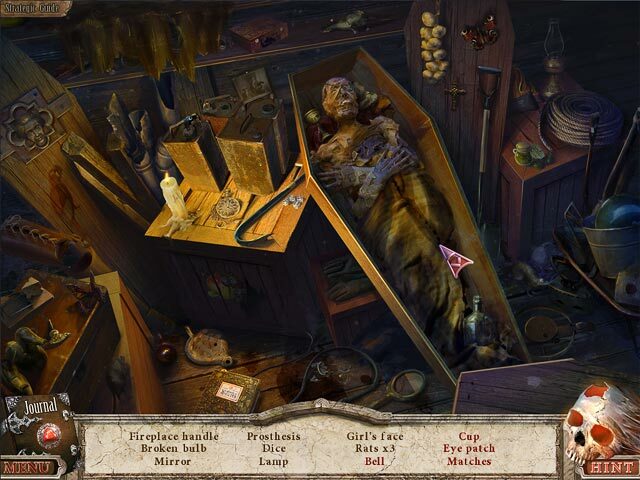 Some of the puzzles can be a bit frustrating and long compared to other games but overall fun to play. The CE provides good bang for your buck with not one but two bonus chapters. Rated 5 out of 5 by Corie60 from FANTASTIC GAME I loved this game. It kept my interest all the way through the regular game as well as the Bonus game. The graphics are great and some of the characters really project their personalities well. It took me awhile to get to playing this game, but once I did I played it every spare moment I had. Can't say much more about the game without giving the story away as well as the demeanor of some of the characters, but trust me...if you like a good story, great game play and like a game to feel like you are immersed in a book, you will love this game. At the very least the demo is worth your consideration. Thank you developers and BFG. Rated 5 out of 5 by neilskinut from I liked it alot After playing the new keepers I looked and found this one. Like them both even though they are pretty much the same in game play. Good fund game. I will say playing the CE is better because it gives you the conclusion of the story where as the SE does not. Rated 5 out of 5 by 5Jodi from Wow! What a great game! I loved the story, the different characters, the voice overs - even the dark scenery and the ending - that was unnerving- the reptilian eye contact! Hos were a little dark, but so what! Found the storyline somewhat Russian or Slavic -and dark in nature- which I really loved. This is one of the better games for me. Really enjoyed this game! Rated 5 out of 5 by missgranny from A WINNER Based on the complete game, 5 minutes into the trial i knew i had to buy it, I don't usually buy CES but this has to be the exception. The graphics and voice overs are brilliant, parts of it were really creepy which i enjoyed, the creepier the better. The extra 2 chapters was a nice surprise, excellent all round. Congratulations to the developers for producing such a fantastic game and a very good solid story line, well done Big Fish you are always way out front with the best games. Just one little niggle, i had a problem with a couple of the HOS games some things were very tiny and quite hard to see, but maybe i just need new glasses!!! all the other mini games were great loved every one of them. Rated 5 out of 5 by Mrs_Kim from Excellent Game! At first I am not sure whether I will buy this game but in the end I do and I am so glad that I did.. I played in casual mode. (pluses): - graphic is excellent, real life like! - good voice over, the boy sounds very creepy! 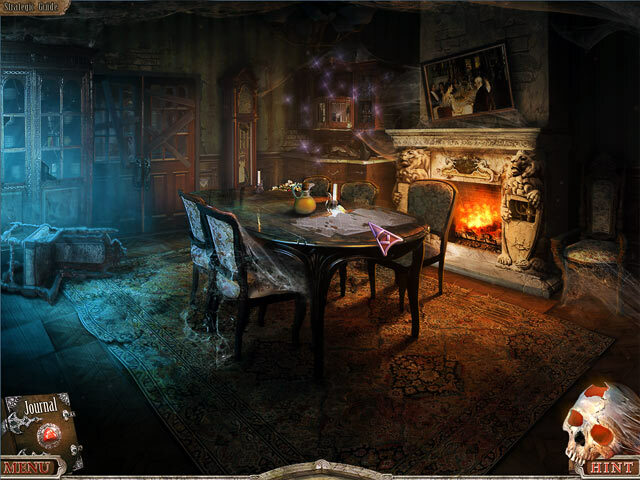 - nice background, very dark - great storyline - very few backtracking - nice, managable puzzles and mini-games - 2 chapters of bonus content, with other additional extras like music, wallpaper and concept art. (minuses): - a bit graphic, although the characters are made like chibis, but they 'perform' graphic scenes in the game, so it's a bit disturbing - storyline, although great, reminds you of 'the omen' series.. - bonus content chapter 1 seems to end abruptly This game should not be missed. I am so glad I bought it and I feel that I would play this game again and again. Rated 5 out of 5 by Juju38 from FANTASTIC!! Loved this game, just a brilliant adventure with a fab storyline throughout. I will warn others that it is just for adults or older children because some scenes are quite graphic and frankly i was scared out of my wits! (hanging from a tree and demons! )...The graphics are superb and not too many HOS and a lot of adventure, the only gripe i have is the HOS were quite dark at times but i'll let that slip seeing as the game as a whole was just superb! Rated 5 out of 5 by yelwbkrd35 from Game of the Year! Don't Miss it. Fantastic game in every category. CE is a must buy. From the demo I saw the CE was the one to buy and it doesn't disappoint. extra play is long and continues the story with a great finish (? or is it?) I was captivated by the game from the beginning. Heed the graphic warning if you are senstive becuase the graphics are tremendous and can be scary. Makes the game what it is tho. Thanx BF for a great experience. Rated 5 out of 5 by JCesme43 from Fantastic! This is a great game. A good long play (for me, who plays an hour or 2, 3-5 times a week) with breathtaking graphics. I loved the demon storyline & the dark, fiery, volcanic atmosphere. Tons of travel & rooms. Not too many HO scenes... a good balance between HO & adventure. There are 2 bonus chapters, the first was very short. The second chapter was much better. I did skip a lot of the mini games, either because they were just too hard for me or I wasn't enjoying them & wanted to move on. The ONLY issue I had with this game is that I a)had to change my display to 1400 x 1050 so that the cursor would go all the way to the left of the picture (otherwise you couldn't pick some things up in the HO scenes) and b) that it would not fill my 17 inch widescreen, no matter what I tried. I did get used to it, though. I do have a brand new ASUS i7 gaming computer, so don't think it's me...unless it's just TOO much awesomeness in a computer...or I don't know what buttons to push...that's probably it. Anyway, 5 stars from me. Thanks BFG & the people who wrote the game! Superb!